Fight for the Light download pack gives players the power of the emotional spectrum. 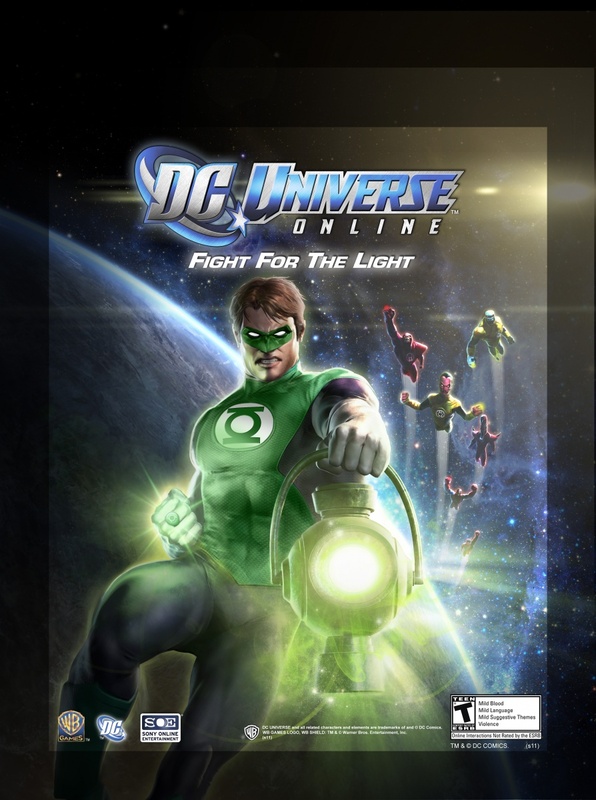 This weekend at SOE Fan Faire 2011, Jens Andersen announced that the first download pack (read: mini-expansion) for DCUO called Fight for the Light adds a new power source - the ability to create constructs from pure light, using the rings of the Green Lantern Corp. Well, that's if you are a hero. 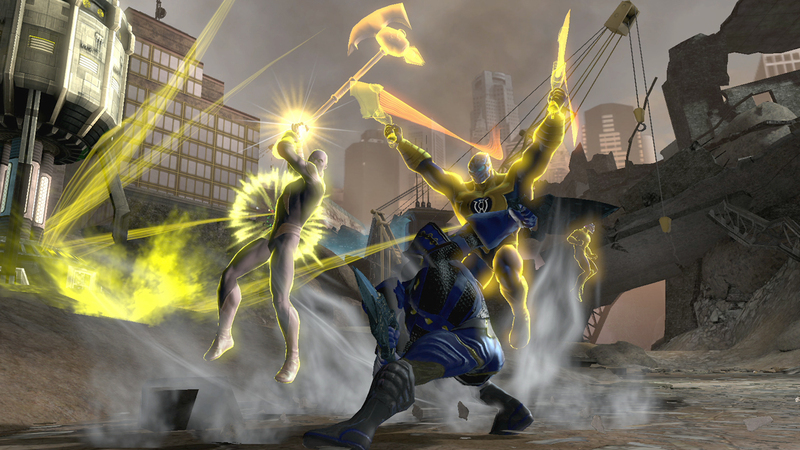 If you're inclination is a little more dastardly, you'll wield the yellow light of fear used by the Sinestro Corp to beat up those pesky do-gooders. You will have to pay $9.99 Station Cash to download and access Fight for the Light on either your PC or PS3. No official release date was given but I'd look for Light powers to be available early this fall. 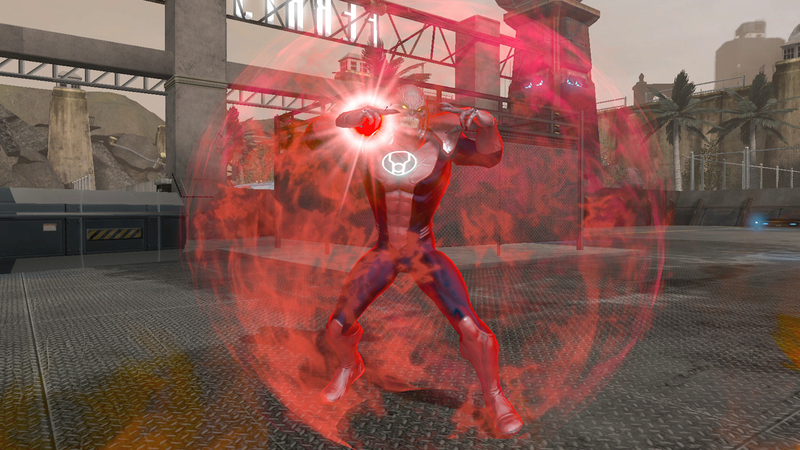 When the superhero MMO DCUO launched this Spring on the PC and PS3, comic book fans could finally run (or fly or jump) around in a fully realized representation of Metropolis or Gotham City. One of the most important decisions in creating your own super hero or villain was choosing the source of your power - with options like Ice, Fire, Nature or Gadgets informing your role in groups and how you killed the bad guys. The Light power will work a little differently than the other power sources. Instead of just getting skills that perform a specific action when you level up, Light powers will give you the ability to manifest a certain construct and wield them like weapons or fighting styles. "With the Light powers, you collect constructs," Andersen said. Examples of constructs I was able to see in the game so far are a chainsaw, or a plane going over, or a light whip, or a machine gun, or a green locomotive. "When you activate one of those powers, you will go into chainsaw mode which has its own set of combos that you need to learn in order to unlock the abilities," he continued. "When you activate machine gun, that mode has its own set of combos to learn so that you are almost form switching to pull of these different combos." If you have the button-mashing skillz, you'll be able to chain combinations of moves with different constructs for some serious Kapow! action. "I can go into chainsaw mode, do a special combo, and if I've unlocked the light whip, I can hit the button at the right time and all of a sudden my guy goes into a flurry with the whip," he said. "These constructs chain into each other and players will be able learn very deep and compelling combos to pull of the combat with the Light powers." There will also be slight differences in how your powers look and function depending on whether green or yellow is your favorite color. 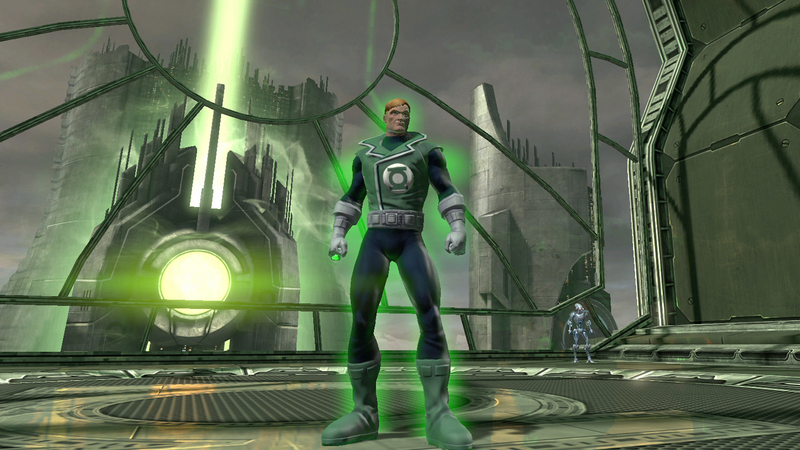 Green Lantern reservists (more on that later) might put an enemy into a baseball and hit him across the battlefield, while their Sinestro Corp counterparts will imprison enemies in a skull. It sounds like the Light powers will be difficult to master, but, once you do so, it'll be really fun to pull off some these combos. 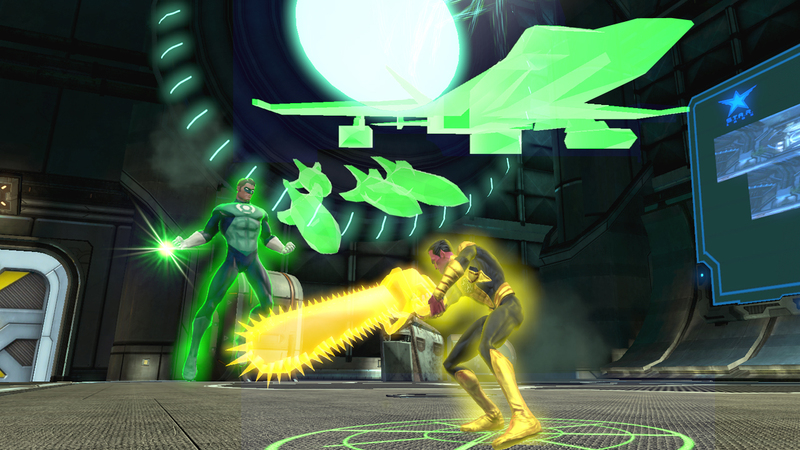 Like every other power source in DCUO, you can fulfill a DPS role with the Light powers but their specialty in groups is as a Controller. If the Light powers sounds like something you want to try out, players who've maxed out to level 30 will have the option of respeccing for free once they download the pack. Of course, you could always roll an alt who uses Light powers to level up in noob areas.